Hello everyone! We are excited to share our two newest DIY Inspiration Kits with you all today. Our kits are an easy and affordable way to add an extra special touch to your gift wrapping and creative projects. We put these two together with warm weather fun and adventure in mind. 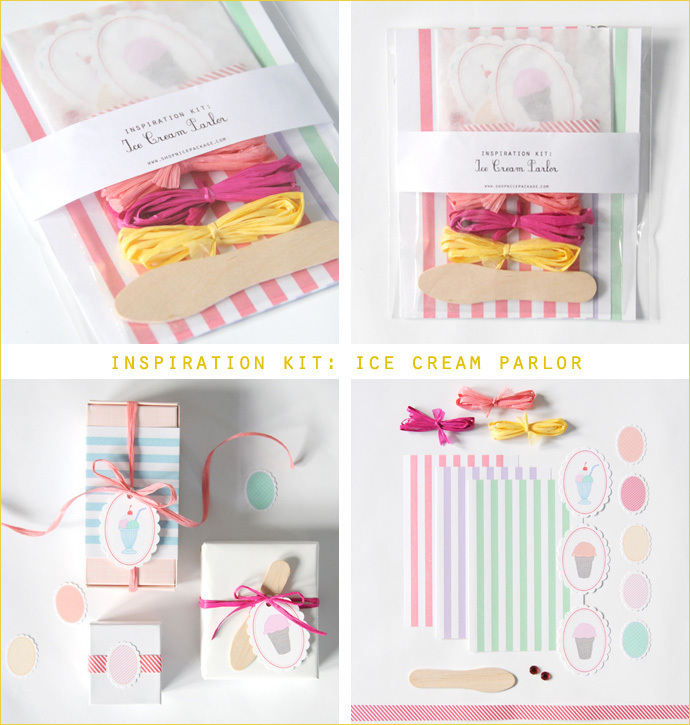 DIY Inspiration Kit: Ice Cream Parlor…sweet as ice cream on a hot summer day! Available in our etsy and big cartel shops. 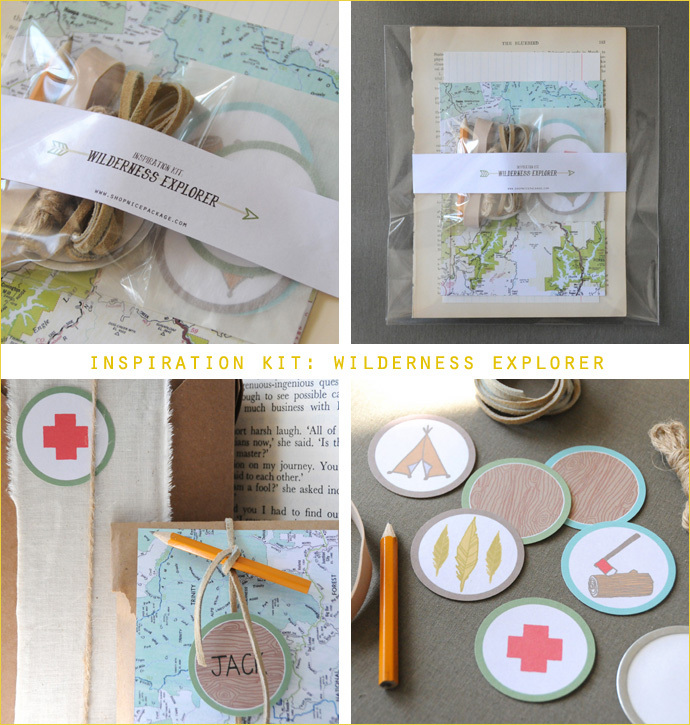 DIY Inspiration Kit: Wilderness Explorer…get lost in the creative potential of this adventure-inspired kit. Available in our etsy and big cartel shops.